This week, Your News to Know rounds up the top news stories involving gold and the overall economy. Stories include: Concerns over the Italian vote drive smart money into gold, Islamic finance group approves standard for gold products, and why Bond King Jeffrey Gundlach isn’t giving up on gold. 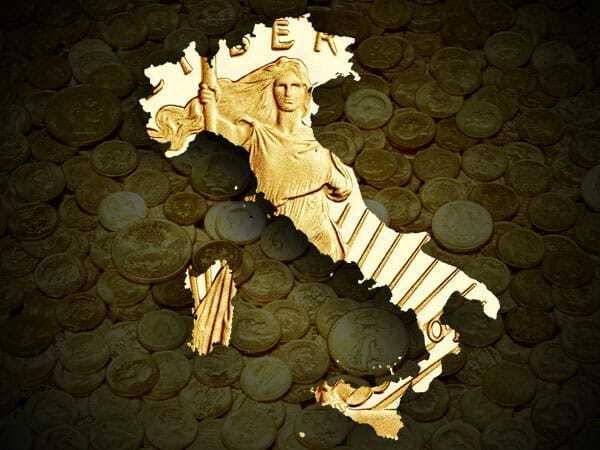 Even before this past weekend’s Italian referendum to amend that nation’s Constitution, the smart money was stepping into gold. The Arora Group, which specializes in detecting footprints of the smart money in precious metals, said that the asymmetrical risk/reward ratio leading up to the vote would make gold a prudent investment in both scenarios. According to a report on MarketWatch, a “yes” vote would have brought a $40-$80 upside potential while a “no” vote carried a $10 downside. Furthermore, in the case of a “no” vote, the momo crowd — those people who blindly follow the crowd into the gold market — could drive gold up $150 to $200 in the span of a week to ten days. “In a rarity these days, [the] smart money is lightly buying gold. Perhaps the reason is to guard against a negative outcome in the Italian referendum. If the outcome is a ‘no’, gold can easily jump up $40 to $80,” said the latest Arora Report Morning Capsule. The Accounting and Auditing Organization for Islamic Financial Situations, or AAOIFI, recently approved a sharia standard for gold-based products in order to stimulate the use of bullion in Islamic finance. The Bahrain-based group holds considerable authority with Islamic financial institutions worldwide, which wholly or partially follow the group’s guidelines. Because of this, many are hoping that the newest decree will spur gold demand in a region that has seen shrinking demand in recent years. Prior to the introduction of the AAOIFI standard, investors had a difficult time speculating on gold’s future value as the metal was viewed as a currency and was therefore confined to spot trades in fixed weights and measurements. Thanks to the standard, gold-backed ETFs and savings accounts will become compliant with sharia law, potentially increasing the volume of trade as a result. While it isn’t yet known how big of an impact the standard will have on the markets, Reuters notes that Islamic financial assets are currently estimated at around $2 trillion – allocating just 1% of them to gold would boost global demand by $20 billion or 500 tons. In the wake of President-elect Trump’s victory, multiple hard assets have taken a hit while bonds, stocks and the greenback have strengthened. And while gold is among the assets taking a momentary dive, one notable Wall Streeter isn’t giving up on the metal just yet. Jeffrey Gundlach, also known as the “Bond King”, isn’t giving much thought to recent price changes – the founder of the more than $100 billion investment firm DoubleLine Capital told reporters he expects the markets to reverse course and gold to get back on track. “The dollar is going to go down, yields have peaked and will move sideways, stocks have peaked as well and gold is going to go up in the short term,” predicts Gundlach.